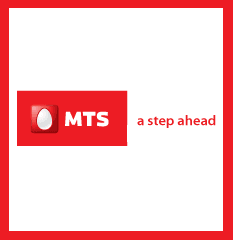 To provide cheaper call rate and better customer experience MTS India launches MSaver191 in its ALL circles except Mumbai, Delhi, Gujarat, Assam & Madhya Pradesh. This MSaver will cost Rs.191(in UP & Maharashtra it will cost Rs.203) & after recharge one can enjoy Local & STD calling as low as just 1p/2Sec and this tariff is applicable for both On-Net and Off-Net. The validity of this pack is 6 months from the date of recharge. NOTE: This pack is available only with e-recharge & this MSaver also comes with a auto-renewal facility i.e. anyone can get lifetime validity of ½ paisa tariff is subject to a minimum cumulative recharge value of Rs.900 every 6 months. For more details please call 155(toll-free) from your MTS mobile. i want to know about tata docomo facility is persented in delhi and it tariff . This news is published on 27th May,2011 & till then there is no MSaver 191 for Delhi. I think MTS official confirmed this one after 27th for Delhi Circle.